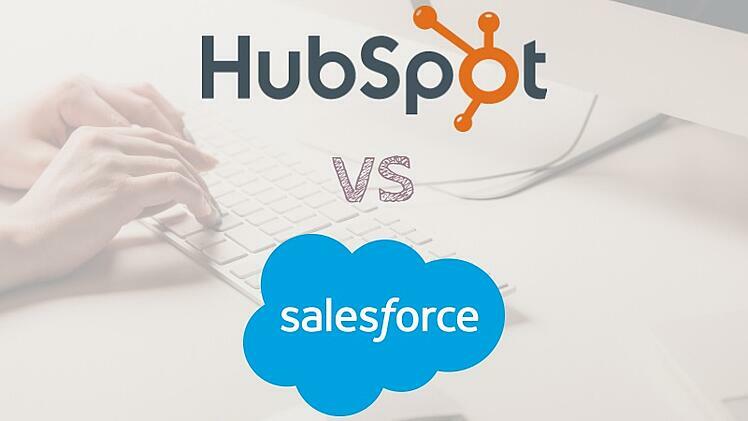 Hubspot Vs Salesforce – Which Is the Better CRM System for Small Businesses? Regardless of what industry you are in, a CRM system is exactly what your company needs. CRM stands for Customer Relationship Management with the aim to help grow and organise anything from a local company with a few employees, to corporate international enterprises. CRM Systems can manage a large amount of data all on one platform, enabling businesses to reach their full potential. They provide an insight into sales activities and account history, with highly useful and recommended reporting and tracking functions. Two of the main players currently in CRM Systems are Salesforce and Hubspot. Many businesses are weighing up which one will suit their needs most efficiently, and will prove to be a real asset to their business. Since Hubspot was founded in 2006, it has been continually evolving and proving itself to be a worthwhile CRM system. The easy to use and intuitive platform is extremely time efficient for a small company as it can automate all of the tedious tasks such as adding contacts and sending emails to prospect clients. Hubspot is suitable for both B2B and B2C industries, as well as the sale of either a product or service. Not only is it FREE, but the main advantage is that all users get a great overview of the overall performance of your business on the dashboard. Here you can see all prospects interactions, track where they are at in their lead cycle, and monitor their visits, meaning you can see exactly what your audience is looking for. Hubspot is good for small businesses because of the excellent Gmail integration. Many small companies will have opted for a Gmail account as it is free of charge and easy to use. However, Hubspot have just made this slightly better for you now that there are email template features and the ability to monitor colleagues' interaction with customers. This will allow a lot more time to be spent on other areas of the business. The Hubspot CRM doesn't have a conjoining analytics function, which means users will have to put in some extra time setting this up elsewhere. This could be time that smaller business owners do not have spare. A further disadvantage for small businesses, especially those with a smaller budget, is that Hubspot charge extra for ongoing tech support. This could be a burden for business owners with little CRM knowledge. Salesforce is the longest standing CRM system since being founded in 1999. It has all the classic CRM functions alongside being able to add and integrate multiple different tools and applications into existing workflows. Various features can either be added or deleted to suit different needs and requirements. It requires no software installation and has a great reputation for the interaction with existing and prospect customers, therefore improving overall customer satisfaction. Salesforce is also flexible, mobile and fully customisable. Although Salesforce offers a wealth of benefits for small businesses, it also has its disadvantages. The first being that the task management function isn't as good as it could be due to the editing, removing and shifting of tasks being quite difficult and not that clear. This would not be good for a small business owner as they are likely to have little technological knowledge, therefore functions need to be in a simpler form. Many users from personal experience have argued that the Salesforce CRM is better suited to B2B industries as opposed to B2C companies which may detract smaller businesses such as restaurants, boutiques or local tradesmen. Although Salesforce is openly available to any size business, the platform and its functions do seem more appropriate and focused on creating wider enterprises. Both Hubspot and Salesforce CRM systems would offer fantastic benefits to a small business for many reasons. Some the same reasons, and some very different. However, the Hubspot CRM is better suited to a small business due to its lightweight nature, zero cost, and its self-explanatory functions and features. Zoho Vs Hubspot – Which Is the Better Small Business CRM System? Which CRM Should I Use for My Business? For further help and support with any aspect of your business' marketing please comment below or call us on 01332 343281 for an informal chat.